1 - Tips and measures to increase the activity and success of the account on Instagram. How to increase your content's quality and chances to go viral. Market your account using your Bio description. Make use of the Stories & Lives to increase Engagement. Write a caption that brings many followers. Best strategies to use hashtags. 2. Tools and applications to get interested followers. Free Alternatives to paid applications. Methods to guarantee a daily amount of Organic Engagement by hacking the Algorithm. 3 - How to search for interested followers in the niche of your page on Instagram. A simple way to search for competitors accounts and target their followers. Advance search for any type of account by keywords. 4 - Photos and real numbers of an Instagram account that applied the methods in the ebook. Sharing my account details as an example and successful application of the Methods. 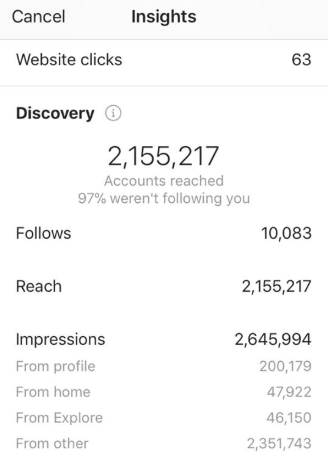 5 - 10K FOLLOWERS / WEEK Case Study.